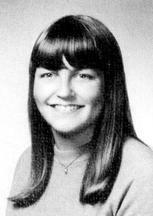 Tanna Smith Holden, 53, of Pelham, N.H. died July 19, 2003 at the Lahey Clinic in Burlington, Mass. She was the wife of Frank J. Holden who survives her and with whom she celebrated her twenty-second wedding anniversary on Aug. 17, 2002. Born in Groton, Mass. on June 17, 1950, she was the daughter of Evelyn (Brown) Smith of East Boothbay. A graduate of Lynnfield High School, she received her bachelor of arts degree from Green Mountain College in Vermont. Mrs. Holden continued her graduate studies at Endicott College. She worked as a preschool teacher at the Merrimack Valley Montessori School in Salem, N.H. for many years. She was an active member of the First Congregational Church of Pelham and was also a member of SERRV. Besides her husband and mother, she is survived by a son, Christopher S. Holden, a student at the University of Massachusetts at Lowell, and a daughter, Alissa Holden, a sophomore at Central Catholic High School, both of Pelham; a sister, Cheri Smith of Northwood, N.H.; two brothers, Rick Smith of Kettle Falls, Wash. and Glenn Smith and wife Beth of Blackstone, N.H.; and many nieces, nephews, aunts, uncles and cousins. A funeral service was held Wednesday, July 23 at the First Congregational Church of Pelham, followed by private burial. Contributions in her memory may be made to the Lazarus House Inc., 48 Holly Street, Lawrence, MA 01841.